It’s been a meh kind of week as far as collecting good stuff. But here it is anyway, my list of stuff that tripped my trigger over the past 7 days. I finished a big project this week. I eluded to it last Friday. We shortened the deadline so what normally I take a week to edit I edited realtime as we were shooting and then had an extra day to finish it up. So compared to what I normally produce from this event it’s not my best effort I feel. But it all worked out. Here’s the final product. Here’s a quote I’ve been pondering. I just watched a doc on Netflix the other night called “808” — I didn’t find it to be a particularly great documentary but it was fun if you grew up in the ’70s and ’80s and hearing the music evolve. 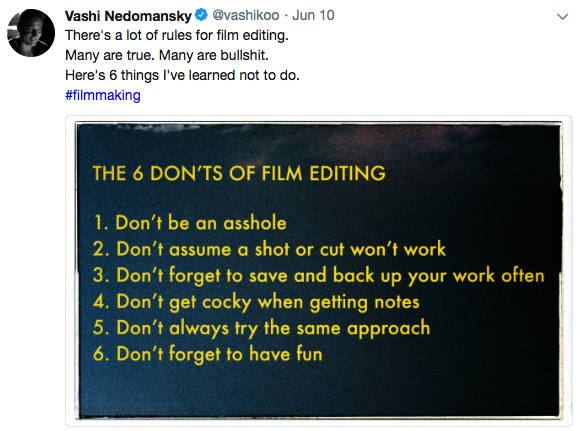 You should follow film editor Vashi Nedomansky (@vashikoo) on twitter. He posts great stuff. Here’s some other great articles I came across this week that I found worthy of a read, I hope you do too. Did you know 120×120 pixels divides evenly between 1920 and 1080? If you use Adobe After Effects at all, at some point, you’ll appreciate that little tidbit of info. 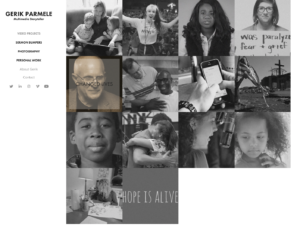 Are You Interested in a “Good Stuff” Weekly Email?